Parks and open spaces have been a part of Worcester's history since the City's founding. In the late 17th Century, the area that is now the Worcester Common, was used as a training ground for the militia, burial ground and the site of the settlers' meetinghouse. Over the past few centuries, this piece of land has evolved into the wonderful Worcester Common you see today. However, the best known historic park in Worcester is Elm Park. Purchased in 1854, using public funds, it is recognized as one of the first purchases of land for a public park in the United States. Both the Common and Elm Park are on the National Register of Historic Places. Given Worcester's Central location, we are blessed with an abundance of park lands. Worcester has many parks throughout the city, which offer residents and visitors a wealth of activities with its vast array of green and blue space. Whether you are interested in going to a playground, discovering some of Worcester's history, having a picnic, playing a sport or just getting out and enjoying nature, there is a park for you! The City of Worcester has many parks located throughout the City. Are you looking to find a park that has a specific feature or attribute? Maybe you'd like to find all parks that have tennis courts or playgrounds. If so, use the accordion menu below to filter on a specific category that fits your needs, and click on a park name for more detailed information. The City's first ever off-leash dog park opened in August of 2017. 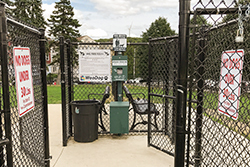 This double-gated, fenced and secured area within Vernon Hill Park offers dogs and dog lovers a place to go and enjoy the company of other animals. 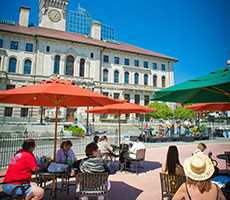 The City of Worcester offers residents and visitors a wealth of activities with its vast array of green and blue space. 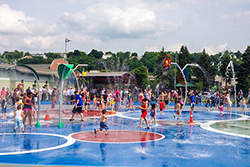 City park amenities include athletic fields, playgrounds, beaches, pools and spray parks. Additionally, to learn more about recreation programs, register for activities or make online reservations for Park Permits or Field Permits, please visit our Online Registration Portal. 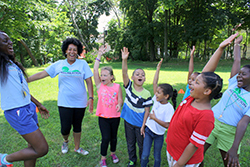 Recreation Worcester is a free year-round out-of-school time program run by the City of Worcester. Through after-school programs, students will engage with program staff and community partners in enriching, athletic, artistic and academic programming. The Worcester Common is located in the core of the City and home to a number of popular events such as the Out to Lunch Concert Series, annual festivals, outdoor activities and more. The City of Worcester Parks, Recreation, & Cemetery Division maintains and manages a par 72, 18-hole municipal golf course. 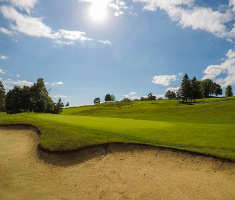 City residents and non-City residents can enjoy an exciting round of golf. 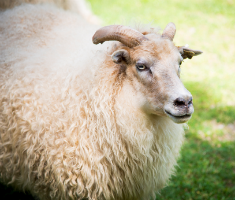 The Green Hill Park Farm is home to various gentle farm animals and is a great place for families with children looking for a leisurely activity on a nice day. The farm is free of charge and open to the public. 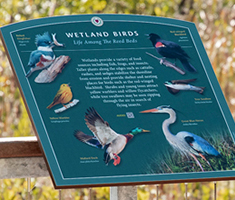 Providing historical and ecological info about the wildlife and plants in the area, as well as the Blackstone River and the role it played in the history of Worcester and the Blackstone Valley Corridor.